The sadist on the beach seems to have strange power over the slight figure crouching submissively in front of him in the pre-dawn light. He performs an exercise and his disciple frantically repeats the movement 20 times over while being verbally abused. As soon as the small man completes a task successfully, he is rewarded with more torture: burpees, lunges, squat jumps, boxing, soft sand running. He begins to tire but is ordered to do one-arm press-ups… he tries to oblige but collapses face down in the sand. Further down the beach, I see dark shadowy shapes on the grass verge by the sand. From a distance, it looks like a stranding of small whales … or something even more disturbing. The bodies are arranged side by side all in the same contorted positions with one out in front of the line. Abruptly the one at the front sits up and adopts a lotus position, which is then obediently copied by the other 10. I breathe a sigh of relief as I realise it is nothing more sinister than an early morning yoga class, another of Bondi’s many manifestations of its fitness obsession. 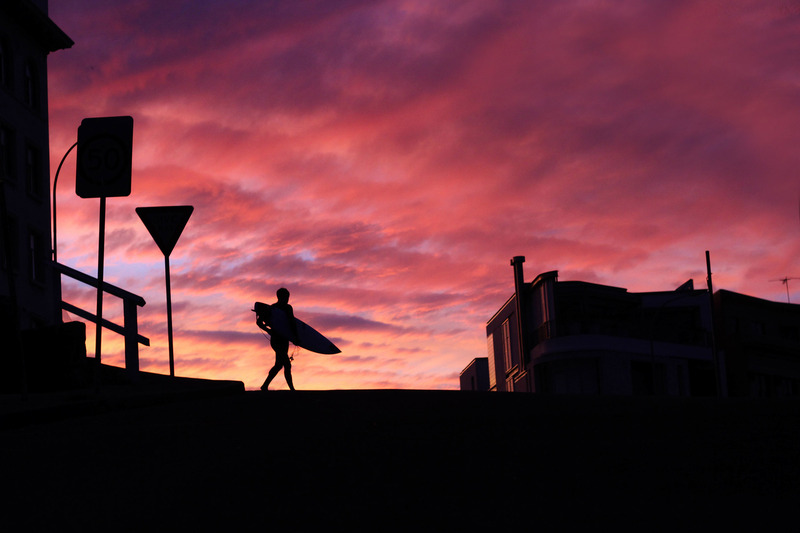 It’s early spring and decidedly chilly, but surfers, paddle boarders and swimmers are out in force along with the stars of the beach — the surf lifesavers — practising their routines, getting airborne off the massive waves. 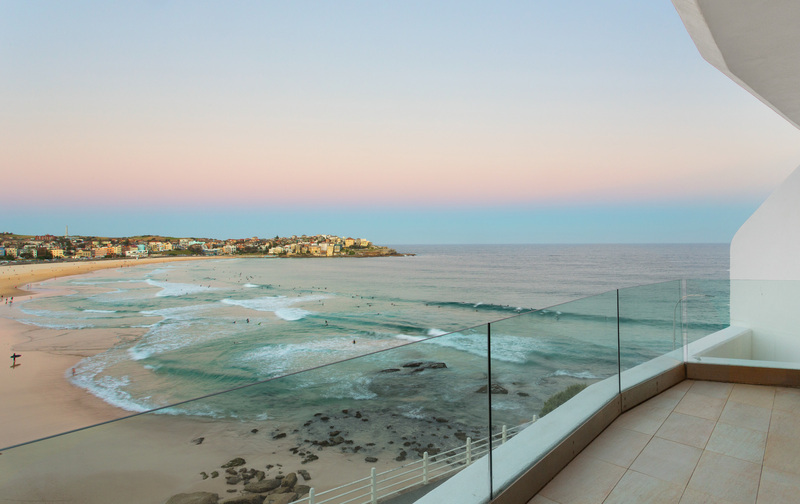 I’m perched directly above the beach in a magnificent Luxe Houses penthouse apartment, watching the action on the Bondi stage, one of the world’s most famous stretches of sand. At this early hour, the sickle-shaped beach is powder-puff beige, freshly swept and manicured. There’s hot competition for the prime window seat in the luxury apartment, so I dare not relinquish it. An apricot sheen on the horizon announces sunrise as the next act begins: a surfing competition with bronzed athletes riding perfect silver-green waves edged with frothy lace. Packs of men are jogging, chatting and laughing, psychedelic cyclists with lean faces are drinking kale smoothies, and elderly people are shuffling along the sand, remembering a time when their bodies were young and co-operative. A bit late on the scene, but superbly kitted-out, are the look-at-me brigade who have spent a good hour choosing their designer-label fitness attire. They are heading in droves for the coastal walkway followed by slightly harassed-looking young parents, running with pushchairs. This form of exercise is not quite as dangerous as running with the bulls but risky all the same if a small child is catapulted out of a pushchair or collides with another at speed. My daughters prise me out of my chair to ‘harmonise the body, mind and soul’ at Yoga by the Sea, an essential element of any Bondi fitness regime. 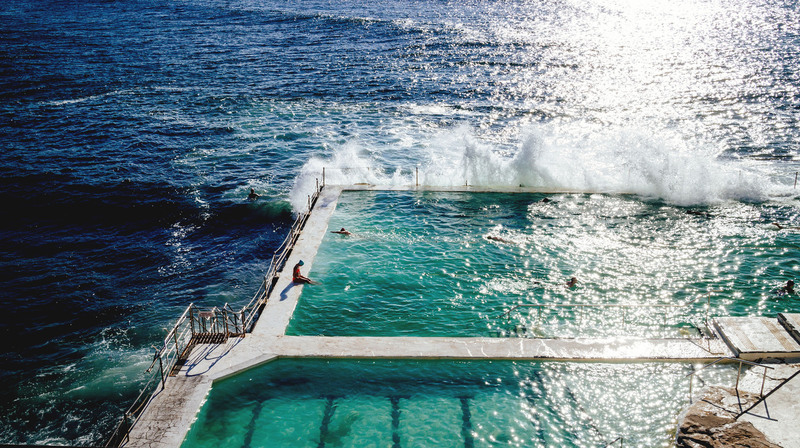 There can be no more spectacular yoga venue than the Bondi Icebergs where huge breakers thump against the side of the pool wall, sending curtains of white foam metres into the air. 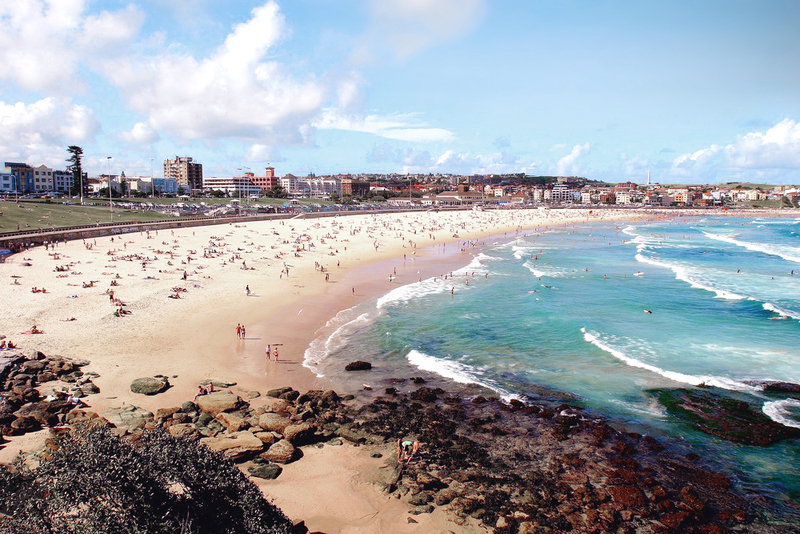 After achieving harmony, we indulge in another Bondi ritual by joining the throngs on the six-kilometre walkway that connects the beaches of Bondi and Coogee. The clifftop path weaves its way around the coast linking a series of exquisite bays separated by dramatic rugged headlands. Spaced at regular intervals along the track are bars and other pieces of masochistic fitness equipment where young men with rippling muscles demonstrate their prowess. I watch in awe as the alpha male in the pack holds his body at right angles to a vertical bar. I’m uncomfortably aware I am not wearing the right ‘uniform’, nor am I fit enough to keep up with the chin-up brigade for whom the walkway is clearly a competition ground. The first bay we arrive at on our walk is Tamarama (known locally as Glamarama), a tiny perfect horseshoe-shaped beach inhabited by beautiful young gods and goddesses. I decide it’s a no-go zone for me so we continue on the walkway towards Bronte Beach where we stop at one of the many bustling cafés for the best fresh-fruit smoothie of my life — hyper-healthy of course. The surf lifesavers are out in force, the ocean pool is chock-full of octogenarian lap swimmers, and yoga mats are everywhere. The sand is cool and silky, and squeaks under our feet like powder snow, its distant cousin. 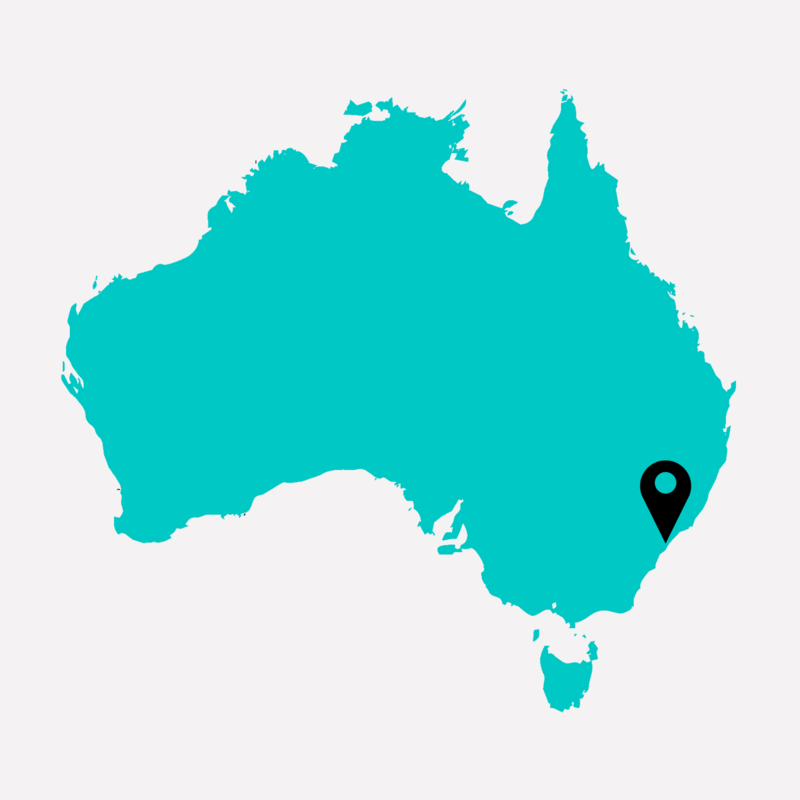 In the days that follow, I take daily walks along the coastal path and begin to blend in rather well after my Sydney-based daughter buys me a cool Nike cap and track pants, and my fitness level steadily improves. But my fine plans to do daily yoga classes and go whale watching dissolve into hours of lazing in the sunshine on the sheltered balcony, within spray drift of the surf. An obliging pod of orcas cruises by North Bondi Head so we even manage a spot of whale watching from the comfort of the loungers on our own balcony. The pink and golden sunrises and sunsets are breathtaking, and just watching life go by is fascinating entertainment. Justine stayed at Luxe Houses Notts Avenue beachfront apartment courtesy of  Luxe Houses  and travelled there with  JUCY rentals.